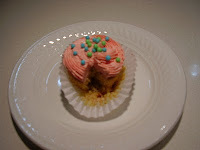 Easy Cupcakes, with a Greek touch!! A few days ago I decided to try a basic orange cake recipe, but with a variation. I wanted to add in the cake mixture a Greek touch. Masticha was the 1st thing that came in my mind. I searched through my cupboards and I found a small wooden box I bought from Crete last April, while we were there for a wedding. In the box I found masticha!!! The magic ingredient as I call it. 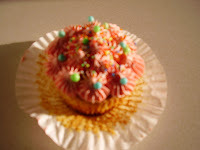 But that was not enough for my cupcakes so, I opened the fridge and there was a bottle of masticha liqueur. The next thought was olive oil. 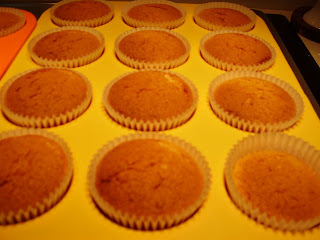 So I thought I will replace butter with olive oil, and there was my Greek Cup Cakes recipe!! 1) Preheat the oven to 170ºC (340ºF). 2) Mix orange puree* and olive oil. 3) Whisk eggs and sugars until light and fluffy. 4) With a wooden spoon combine (1) and (2) above. 5) Sift flour, baking powder and masticha powder together; add it in the orange mixture and stir until just combined. Do not over mix. 7) Bake for about 25 – 30 minutes. * Boil the orange in a casserole full of water for 1 hour; remove orange seeds and mash. You can decorate them in any way you like. 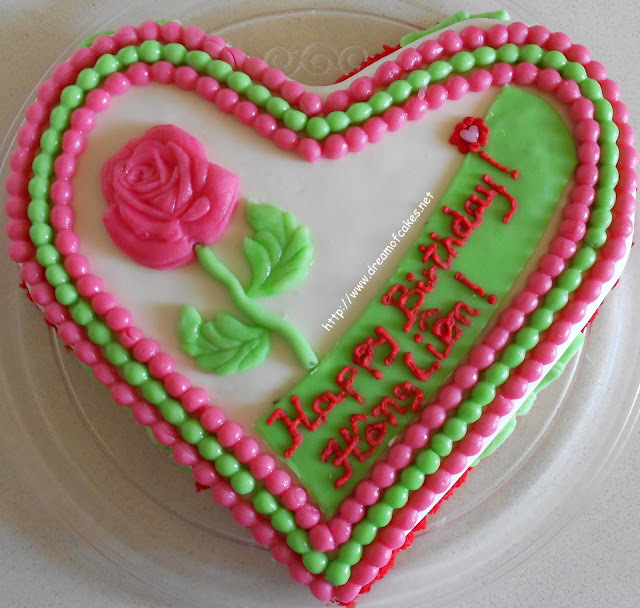 The ones I have here were decorated with Swiss meringue butter cream, with a touch of red food color. My kids are responsible for the rest!!! 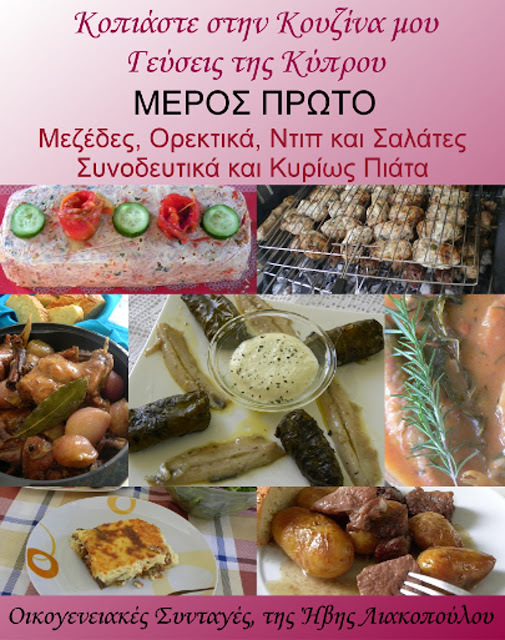 Details about Greek Masticha can be found in Kopiaste. Your cupcakes looks absolutely delightful! This recipe sounds wonderful. I would to try these soon! Olive oil in the cupcakes? I'm intrigued! They look so pretty too! The love the nice Pink Decoration.. They look beautiful! I can only imagine how they taste! perfect for Valentines Day looks great! In my experience, anything that gets a Greek touch is usually improved significantly by it - and these look like no exception at all! I'd dig in in a heartbeat! Beautiful decorating job. These look just lovely and so delicious. 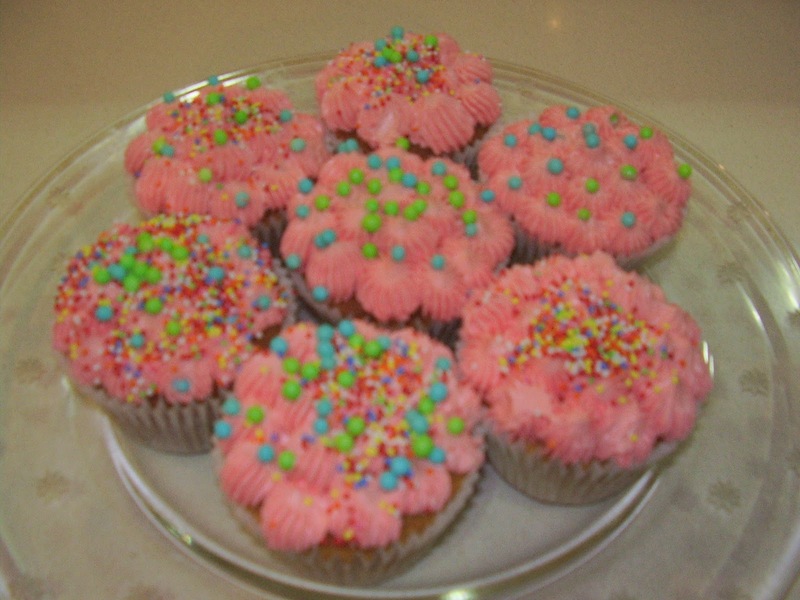 What yummy looking cupcakes! You did a wonderful job! You are so talented! 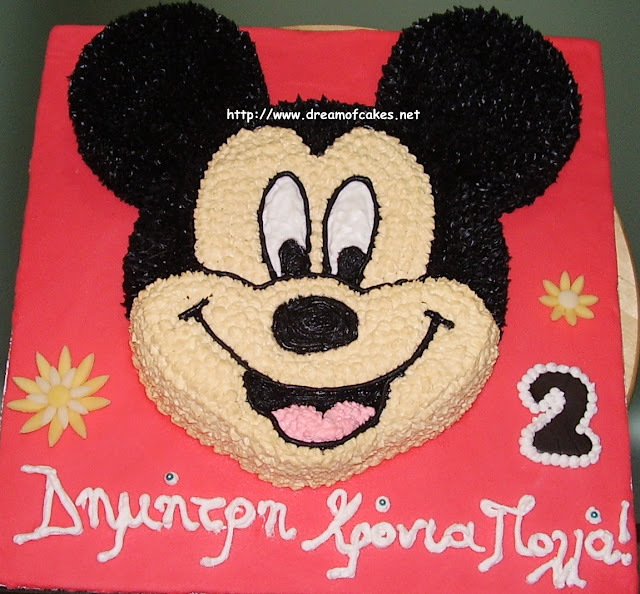 I had a cake once with olive oil and I could not taste any olive taste at all but they were super moist. These sound wonderful! The use of oilve oil instead of butter makes them healthy and i like that. Beautiful decorations....that's a lovely shade of pink. Lovely cupcakes perfect for Valentine's Day! Thanks for the link Efti. 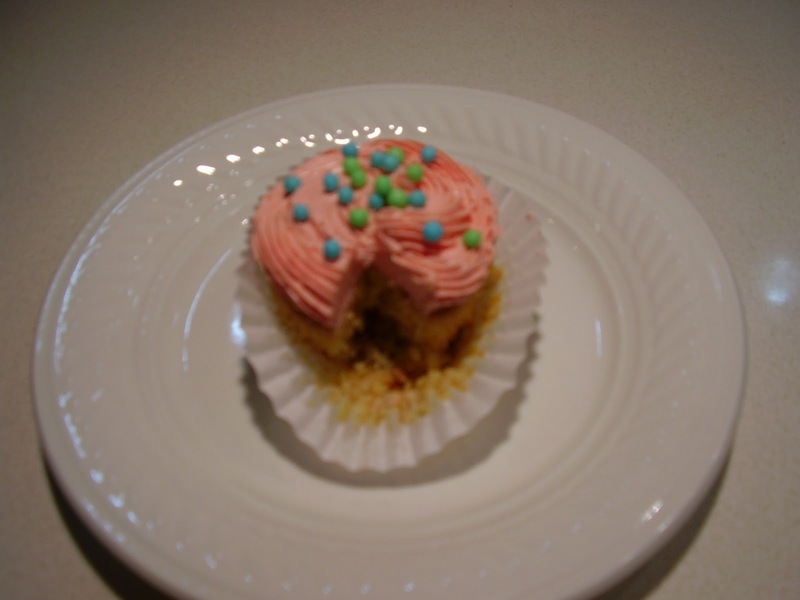 Your cupcakes look very cute and I love the taste of mastiha plus you've made them extra healthy without the butter. Great job and presentation. This looks yummy!! I am going to Greece next week and I can't wait to try everything!! !